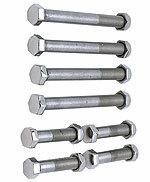 The latest addition, and now a cornerstone of the SO-CAL family of chassis components, is our forged dropped axle. SO-CAL’s engineering staff spent the better part of three years refining a design that takes into account the idiosyncrasies of a reproduction part that must first work with original Ford components. 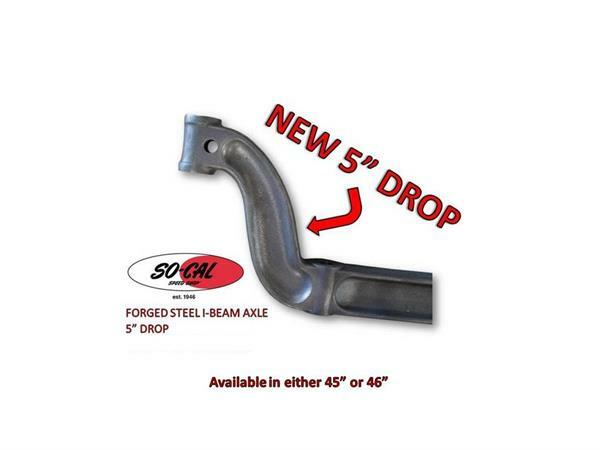 This new forged 1045 heat treated steel 4” dropped axle does that and more. The real test is trying to install stock spindles and having them go lock to lock. SO-CAL’s axle shows a 30% improvement over the competition in turning radius alone so when it’s time to install reproduction parts, there’s no problem. The forged axle measures 45” through the king pin centers, and 34” at the 2 1/4” or 2" thick spring perch boss. It is offered in five finishes: plain, chrome plated, plain with drilled web, plain with pre-polished drilled web (use your plater) and chrome plated with drilled web. Our stock Ford 4" drop axle measures 46" through the kingpin centers and 36½" at 2¼" or 2" thick spring perch boss. 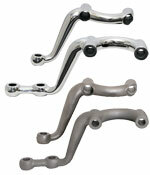 This axle is offered in five finishes; plain, plain with drilled web, chrome plated, plain with pre-polished drilled web (use your plater) and chrome plated with drilled web. 2" Spring perch boss is available in both legnths and styles. Call Ray in sales for pricing and availability.